Has another dentist told you that you're not a good candidate for dental implants? 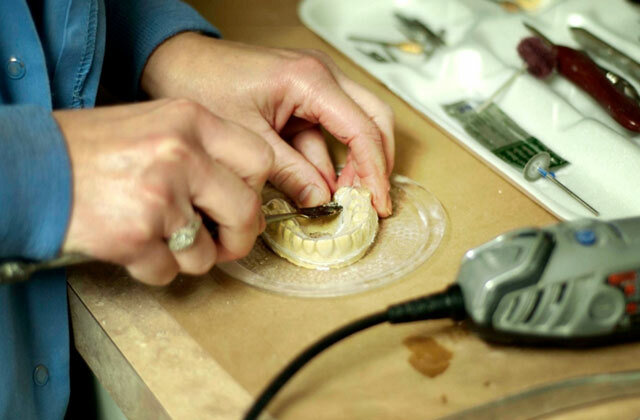 For most dentists, patients who have deteriorated bone tissue as a result of extractions, trauma, or gum disease, dental implants are just too complex and beyond their skills. Luckily, we are not most dentists! We understand that every patient's needs are different, and we are committed to finding ways for every patient to get the care they deserve. If the quality of your bone tissue is not currently sufficient for dental implants, we can build it up using a process called bone grafting. Bone grafting uses a similar technique as tissue grafting. During this type of procedure, tissue is removed from somewhere else on the body (or obtained from a tissue bank) and then surgically placed over the area that needs to be repaired and treated so that it incorporates into the existing tissue. This type of procedure is often used to help repair the skin of patients who have been badly burned. Bone grafting is essentially the same idea. We can use bone from a tissue bank or remove bone from another area on the body. Once the donor bone has been placed, it is covered with a special barrier of material. This encourages your existing tissue to accept the donor bone and to incorporate it so that it becomes a permanent part of the bone structure. At NELA Dental, our dentists will evaluate your unique situation and recommend options. Sinus lifts – If implants cannot be placed because of the quality of your sinus floor, a sinus lift may be necessary. In this procedure, your sinus membrane is raised to a more suitable position and extra bone is grafted onto the sinus floor to provide a location for dental implants. Ridge augmentation – Certain conditions such as trauma, advanced periodontal disease, and birth defects can cause ridges to form in the bone of your jaw. Bone grafting allows us to fill in these ridges to restore the health of your jaw. To find out more about bone grafts and how they can help you improve the health and functionality of your smile, please contact us today.